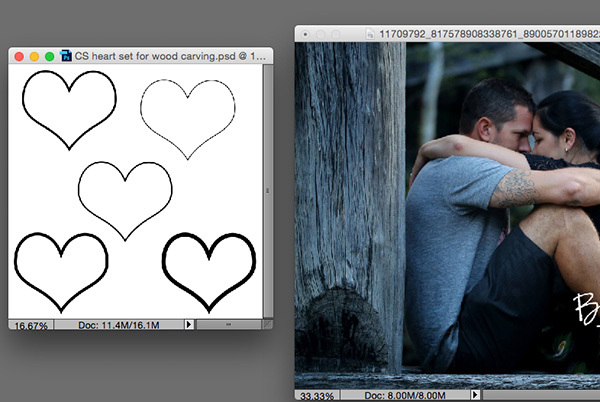 The CoffeeShop Blog: CoffeeShop "Magic Tree Carving Set": Includes Actions, Heart Overlays, and Full Instructions! CoffeeShop "Magic Tree Carving Set": Includes Actions, Heart Overlays, and Full Instructions! A few days ago I posted the action-unwrapped step-by-step tutorial on how I digitally carve initials in a tree or piece of wood. Today I am releasing the action set that allows you to easily automate the process!!! You can also use this method to write in the "sand" or on fabric. I posted a sand example below. I am posting a tutorial on using this action set, but if you have any questions about what is going on "under the hood" please go read the earlier tutorial. The instructions below seem complicated first read, but it is actually very easy once you work through it once. This action set includes 2 actions, one to create the displacement map and one to apply the displacement map and add further enhancements to your tree carving to make it look as realistic as possible. 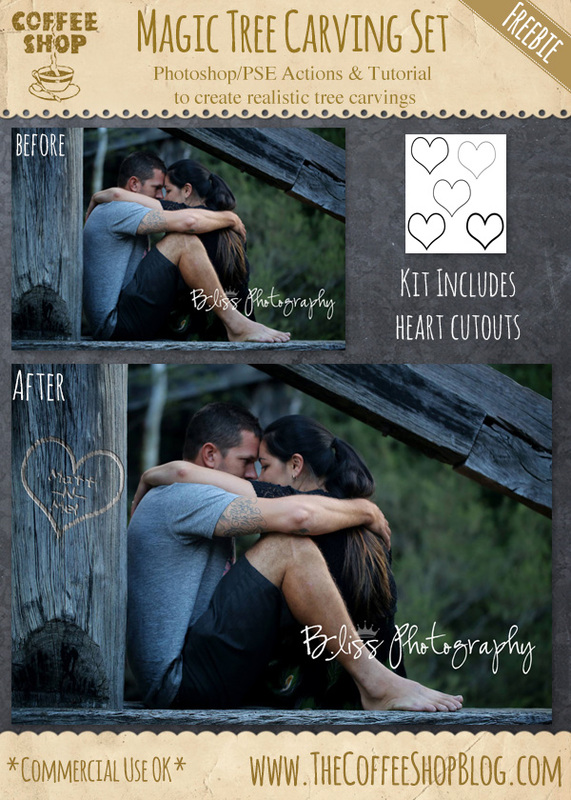 I also included a set of hearts in the download that you can add to your images. Please follow the instructions carefully or the action won't work properly. 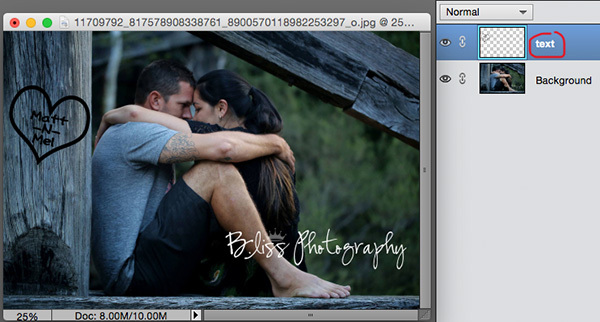 I am using this beautiful couple portrait from B.liss Photography for this tutorial. 1. Create Displacement Map: Run the first action called "CoffeeShop Displacement Map Maker" on your image. It might also be called "Tree Displacement Map Maker" in some versions. This is going to create a high contrast B&W .psd version of your image which you will use to add texture to your tree carving. Adjust the curve if needed to really bring out the wood texture. 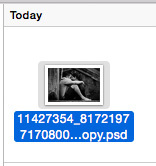 Then press OK.
You will be prompted to save this B&W image as a psd file. I always save it as a copy of the original. Make sure you save it to your desktop or somewhere you can easily find it for the next step. 2. Add Text/Images to Tree: This part of the tutorial has to be done before running the next action. Optional if you want a heart: I included a set of hearts in the download. 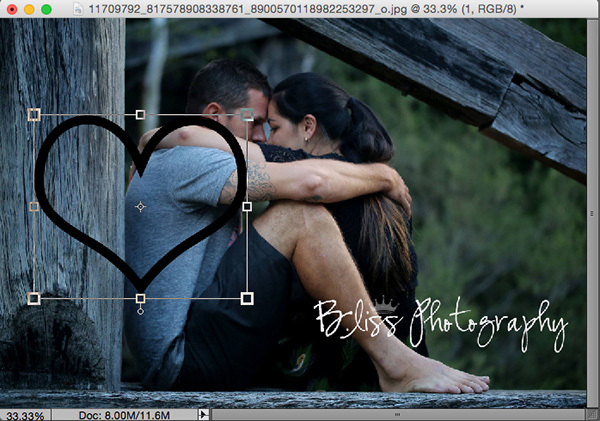 Select V and click on the heart you want and drag it on your image. Free-Transform (Ctrl-T) it to fit your image. Then click on the check mark to accept the changes. Add your text to the heart. I love the font Annoying Kettle as it is bold and looks hand-written. Make sure you have the font in black. Once you have everything the way you like, then save this file as a psd file just in case you want to make changes later. Once you run the next action it is a pain to go back in history. IMPORTANT STEP!!!! 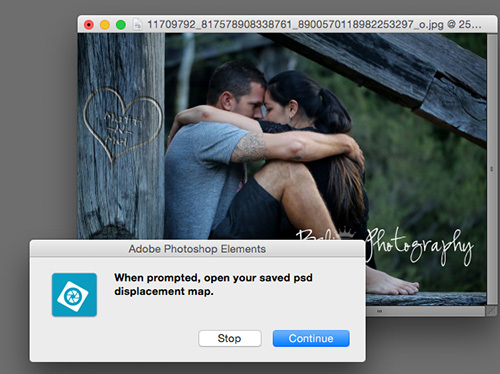 Hold Shift and click to select both the text and heart layer and the right-click and "merge layers". Once they are both on on layer then click on the name of that layer and change it to "text" as seen in the screenshot. 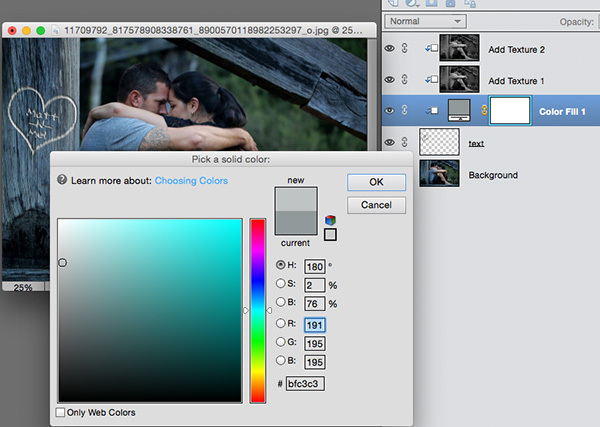 Before starting the next action you have to have two layers, the background and text layer. If you just added text you don't have to merge anything, just rename that layer "text". 3. Run the CoffeeShop "Magic Tree Carving" action. It might be called "Tree Carving Magic" in some versions. When you see this prompt, press Continue. 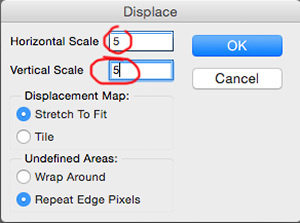 I usually set the Displace filter to 5, 5 for lower resolution images and 10,10 for higher ones. Then I opened my displacement map image made with the first action. After adding the displacement map your image will have five layers. The first thing you should do is make sure you are happy with the amount of displacement filter applied. If it is not high enough, make sure the "text" layer is selected and rerun the filter (filter, distort, displace). You can apply this a few times if needed. 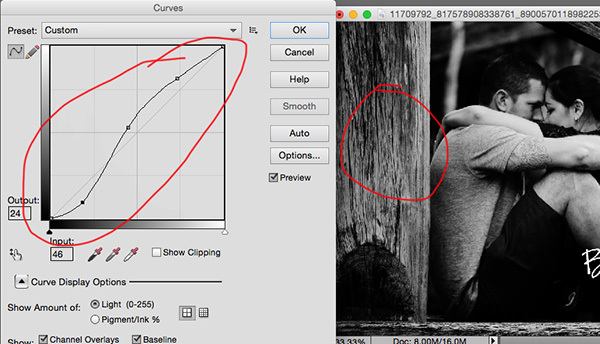 If there is too much distortion and you have Photoshop, go to "Edit, Fade" and fade the filter until it looks perfect. If you have PSE you will need to rerun this action using the image you saved previously with the editable text. Make sure you only have the two layers before starting over. 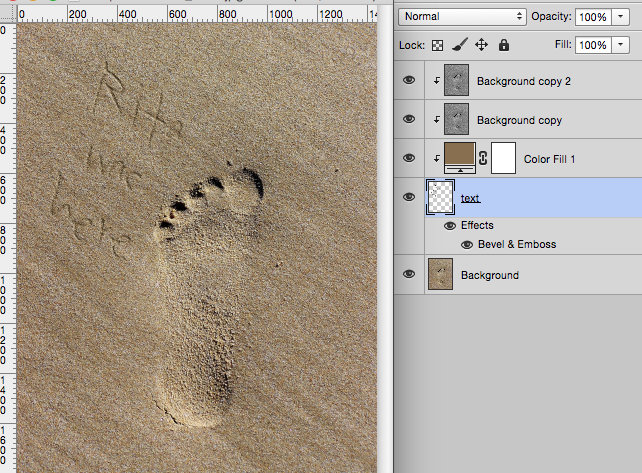 The top two layers are copies of your image in soft light and overlay blending mode (called Add Texture 1 and 2). These add texture to your text. You can turn them off or adjust the opacity to taste. I usually leave both of them as they are. You will need to change the color of the tree carving. Click on the Color Fill 1 layer and then click on a lighter are of the wood. Fine-tune the color until the carving looks realistic. You can also adjust the the text layer bevel and emboss by clicking on the fx on the text layer. I sometimes adjust the Depth and size. 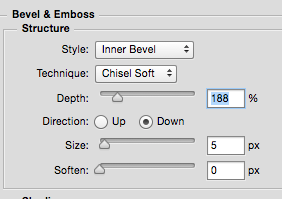 In PSE you don't have as many setting to adjust but it will still look fine. You can also use this action set to write in the sand. In this example I used this image and this font. I lowered the Bevel and Emboss a bit. I would love to see your results on my Facebook page! Questions? Post them in the comments. Download the CoffeeShop "Magic Tree Carving Set". You can also download it here. Thank you! Hope you have fun playing with it. Rita, I keep getting a disk error when trying to run the displace command. Thoughts? It should load the displacement map automatically. 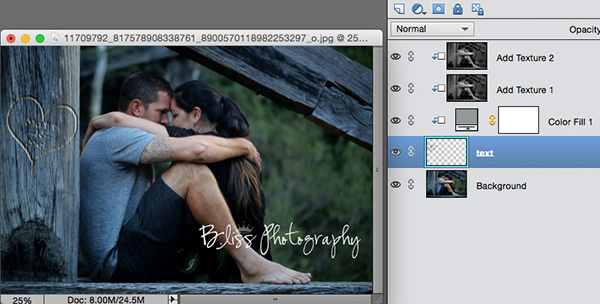 This is a pretty complex action if you are new to editing in Photoshop. You will have to follow the instructions exactly or it won't work. But once you figure it out it is so fun! Thanks for sharing this. I am stuck on color fill 1. I'm unable to click on the tree for a different color. Your help would be much appreciated thanks! Thanks....I checked and it is on all layers. Is there a way to send you a screen shot of what is happening? Thanks again for your help.